(OPride)—The top leaders of the ruling Ethiopian People’s Revolutionary Democratic Front (EPRDF) remain locked in high-stakes crisis talks in the capital, Addis Ababa. 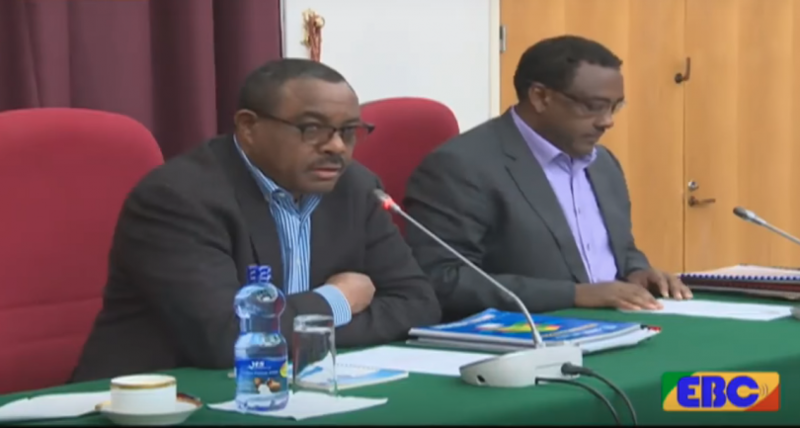 In a rumbling two-page statement on Dec. 20, the leaders paid homage to EPRDF’s “reputed” organizational culture of self-correction through evaluation and renewal. The statement minced no words in underscoring the party is stuck in a rut. The rare public self-criticism points to a deep paralysis within the party, which is fighting for survival. However, it hardly broke any new ground—even here and at this critical juncture for the country. It’s full of general claims that are open to multiple interpretations. For example, as if to corroborate wild rumors about EPRDF’s impending breakup, the statement asks a rhetorical question: “Is the unity between EPRDF member organizations anchored on the culture of questioning and internally challenging each other still in place?” In response, it claims that “member parties have reached unanimity on purpose” and that unity of purpose is a sine qua non for a unity of action, which the organization would work hard to bring about—in the future. 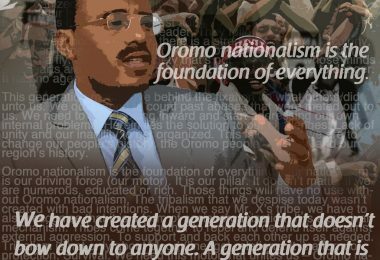 EPRDF being “a social change organization,” the statement intimates, “it can only be a change leader if it too is changed.” The statement, however, leaves out what the organization intends to change and where the agency that forced the need to change—the Ethiopian public in general and the Oromo in particular—will figure in this effort. 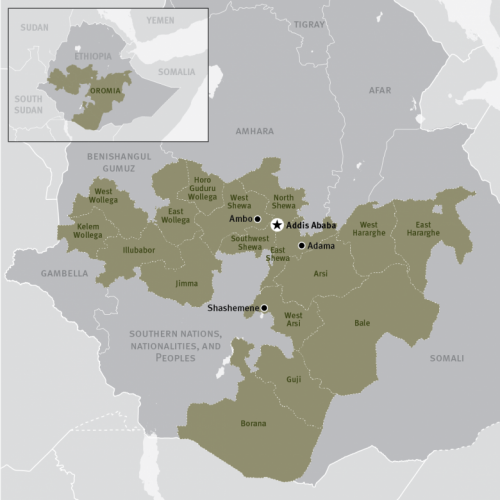 If EPRDF were really to change, what and who gives? The political program? No way! Rather than withdrawing loyalty to the party’s “revolutionary democratic” roots, it reaffirms its enduring commitments to it. What does fidelity to the ideology of “revolutionary democracy” mean? It can only mean one thing: EPRDF is still intent on remaining not only the vanguard dominant party but it also plans to cling to power until Ethiopia becomes a “middle-income” country. If on this path, demands for liberty had to be subservient to issues of economic efficiency, too bad. If one also wondered whether the change entailed eschewing another of the party’s dogmas, developmentalism, no luck here as well. The statement boastfully states that the country is experiencing an explosive economic growth—a fact that is attested to “by all the people of the country as well as the international community.” And thus why fix the miracle growth machine when nothing is broken? The statement also betrayed no new sign in the party’s analysis of what is ailing the country. 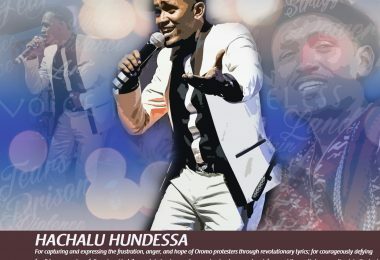 It noted that the problem is fundamentally about “development, good governance, and peace.” To those who understand EPRDF’s confusing language this speaks of a yearning to return to the status quo that prevailed before April 2014, before the Oromia state exploded with protests and upended it all. The only phrase missing from the standard diagnosis is rent-seeking—replaced as it is this time by “peace. In fact, the party’s nostalgia for that status quo ante is evident in the way it characterizes the key problem in the country: “The clash between rising hopes created by a rapidly growing economy and accumulating political problems.” In short, nothing serious—merely growing pains. Does it mean majoritarian rule whereby the member party with the most members and representing the country’s majority population, the Oromo Peoples’ Democratic Organization (OPDO), ascends to power? Or does it simply mean that the party has abandoned its insistence on its cardinal principle of “democratic centralism” which renders members into slavishly adhering to party discipline and obediently implementing all decisions passed by higher organs without a hint of public dissent? Insistence on “revolutionary democracy” means that neither OPDO’s ascent to power nor public dissent by party members are in the cards—not so soon. The statement also tries to name why success has recently eluded the ruling party. It is because of “rampant lack of unity of purpose and action; mutual mistrust; lack of intra-party democracy; the erosion of the party’s commitment to the people.” The statement invokes the party’s organizational culture of self-renewal once more when it talks about how the leaders would approach its and the country’s problems. However, other than saying that agreement has been reached on these ills, it offered no clues on how they are to be addressed— if ever. The conclusion of EPRDF’s statement bellies the lofty promises of momentous change. “Above everything else,” it says, “the party will make sure the supremacy of the law and accountability as a matter of high priority to address the clashes that crop up from place to place throughout the country and save the federal structure from the mortal danger it is under.” Based on EPRDF’s orthodoxy, the supremacy of the law without exception always applies only to subjects —not to the state and its actors— and it goes hand in hand with a firm application of security measures to resolve all problems, including political and constitutional ones. But can a military force accomplish now that which it couldn’t since 2014? 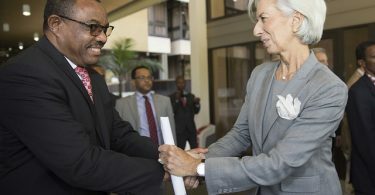 One thing is unmistakably clear: The EPRDF statement is largely a rehash of readout from November at the end of a similar meeting by the dominant Tigrayan People’s Liberation Front (TPLF). The later met for 35 days but the only tangible outcome of its marathon self-criticism session was the elevation of the party’s deputy to chairmanship and removal of two inconsequential operatives from the powerful Executive Committee. 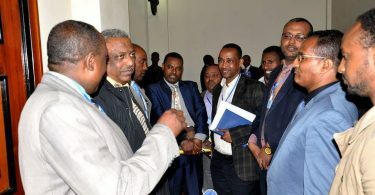 That EPRDF is taking cues from TPLF’s “renewal” is rather a sign of trouble and weakness for the embattled organization and suggests that the ongoing meeting is in total disarray. Should TPLF chair, Debretsion Gebremichael, accompanied by Prime Minister Hailemariam Desalegn, along with his southern group, and a couple sellouts from ANDM and OPDO prevail, what then? It would be a rush to the cliff. Popular outrage will roast them alive. And no military and security might is enough to spare them. However, will they give in to the demands of Lemma and his reformist allies? We will have to wait and see.